English artist and humorist, born in London on the 12th of May 1812, the twentieth child, though most of the others died in infancy. His earliest drawings were ornithological. When he was twenty years old he published a brilliantly colored selection of the rarer Psittacidae. Its power attracted the attention of the 13th earl of Derby, who employed Lear to draw his Knowsley menagerie. He became a permanent favorite with the Stanley family; and Edward, 15th earl, was the child for whose amusement the first Book of Nonsense was composed. From birds Lear turned to landscape, his earlier efforts in which recall the manner of J. D. Harding; but he quickly acquired a more individual style. About 1837 he set up a studio at Rome, where he lived for ten years, with summer tours in Italy and Sicily, and occasional visits to England. During this period he began to publish his Illustrated Journals of a Landscape Painter: charmingly written reminiscences of wandering, which ultimately embraced Calabria, the Abruzzi, Albania, Corsica, etc. From 1848-49 he explored Greece, Constantinople, the Ionian Islands, Lower Egypt, the wildest recesses of Albania, and the desert of Sinai. He returned to London, but the climate did not suit him. In 1854-55 he wintered on the Nile, and migrated successively to Corfu, Malta and Rome, finally building himself a villa at San Remo. From Corfu Lear visited Mount Athos, Syria, Palestine, and Petra; and when over sixty, by the assistance of Lord Northbrock, then Govenor-General, he saw the cities and scenery of greatest interest within a large area of India. From first to last he was, in whatever circumstances of difficulty or ill-health, an indomitable traveller. Before visiting new lands he studied their geography and literature, and then went straight for the mark; and wherever he went he drew most indefatigably and most accurately. His sketches are not only the basis of more finished works, but an exhaustive record in themselves. Some defect of technique or eyesight occasionally left his larger oil painting, though nobly conceived, crude or deficient in harmony; but his smaller pictures and more elaborate sketches abound in beauty, delicacy, and truth. Lear modestly called himself a topographical artist; but he included in the term the perfect rendering of all characteristic graces of form, color, and atmosphere. The last task he set himself was to prepare for popular circulation a set of some 200 drawings, illustrating from his travels the scenic touches of Tennyson's poetry; but he did not live to complete the scheme, dying at San Remo on the 30th of January 1888. Until sobered by age, his conversation was brimful of humorous fun. The paradoxical originality and ostentatiously uneducated draughtsmanship of his numerous nonsense books won him a more universal fame than his serious work. He had a true artist's sympathy with art under all forms, and might have become a skilled musician had he not been a painter. Swainson, the naturalist, praised young Lear's great red and yellow macaw as "equalling any figure ever painted by Audubon in grace of design, perspective, and anatomical accuracy." Murchison, examining his sketches, complimented them as rigorously embodying geological truth. Tennyson's lines "To E.L. on his Travels in Greece", mark the poet's genuine admiration of a cognate spirit in classical art. John Ruskin placed the Book of Nonsense first in the list of a hundred delectable volumes of contemporary literature, a judgment endorsed by English-speaking children all over the world. 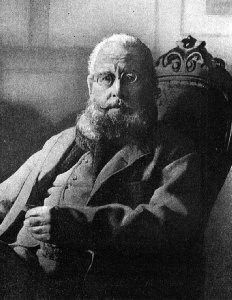 In 1907 was published the Letters of Edward Lear to Chichester Fortescue, Lord Carlingford, and Frances, Countess Waldegrave, edited by Lady Strachey, with an introduction by Henry Strachey.